Information: Borivoj "Bora" Gajicki, a musician and teacher of folk dance from Serbia and Macedonia. Bora was born on July 24, 1937, in Gospodjinci, a village in Bačka (Vojvodina), Serbia. As a young lad, he went to Belgrade where he attended bookbinding school and where he began dancing with an amateur group. After his military service in the Yugoslav Navy, he danced professionally with Ansambl KOLO for seven years. He traveled extensively in Yugoslavia and Europe as a solo dancer with this worldfamous troupe. In the summer of 1967, he met and married Margarita "Marge" Tapia while she was vacationing in Yugoslavia. Bora immigrated to California in November, 1967, and immediately enrolled in a class to learn English. He started a kolo class at the YugoslavAmerican Club (now DalmatianAmerican Club) in San Pedro. He also directed a performing group for the Club. For a couple of years Bora operated a small bookbinding business in Long Beach, but in order to meet a need among folk dancers for opanke (Yugoslav dance shoes), Bora and Marge opened The Folk Motif in 1970. This small business specializes in opanke, folk costumes, books, and related folk items. Also around 1970, he formed and directed the Borino Kolo Folk Ensemble. The group danced at many local events. He also taught local Serbian church dance groups. 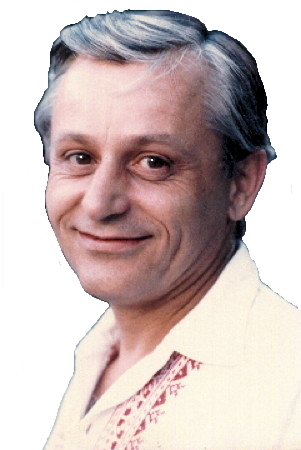 He taught Yugoslav folk dancing to international folk dancers and appeared as the master teacher at many folk dance functions throughout California and other states. Bora was on the faculty of the Stockton Folk Dance Camp for several years and was guest teacher at many folk dance institutes and camps. Many of the dances that Bora introduced are quite popular, including Divčibarsko, Gocino Kolo, Gružanka, Moravac, Raca, Stara Vlainja, and Strumička Petorka. Bora was a selftaught accordionist. He persistently learned to play, eventually forming his own orchestra that played for international folk dance events, for weddings, at restaurants, and for many Serbian church functions throughout California. Bora produced several recordings with his orchestra on the Borino Kolo label. These recordings are available from The Folk Motif in Long Beach, California. As a member of St. Sava Serbian Orthodox Church, Bora ran the weekly Serbian Radio Program for a couple of years. Bora and Marge bought the Veselo folk dance cafe, remodeled it, changed it's name to Veselo Selo (happy village), and operated the popular Orange County, California, folk dance venue for five years. Bora suffered blunt head trauma resulting in his death caused by a fall from a ladder at his Long Beach, California, home on August 17, 2008. He had two sisters, Lyubica Radović and Katrica Tudorović, and a brother, Ratomir Gajicki, all of Serbia. In addition to his interest in Serbian folk dance and music, he had a deep interest in Serbian history and World War II. Bora was persistent and took pride in whatever he did. He loved both his countries, his family, his home, and his accordion. He was well respected as a dancer and musician. He was a wonderful and loving father. 1937  Born in Gospođinci, a village in Bačka (Vojvodina), Serbia. 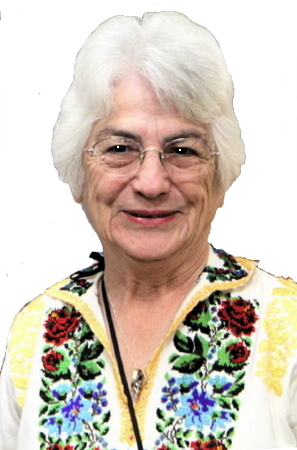 1967  Married Margarita "Marge" Tapia. 1970  Formed and directed the Borino Kolo Folk Ensemble. 1971  Daughter Anna Tinka Gajicki born. 1977  October 1416: Teaching at the Fourth Annual NorthSouth Folkdance Teachers' Seminar. 2008  Bora passed away as the result of a fall off a ladder. 2016  Anna passed away.